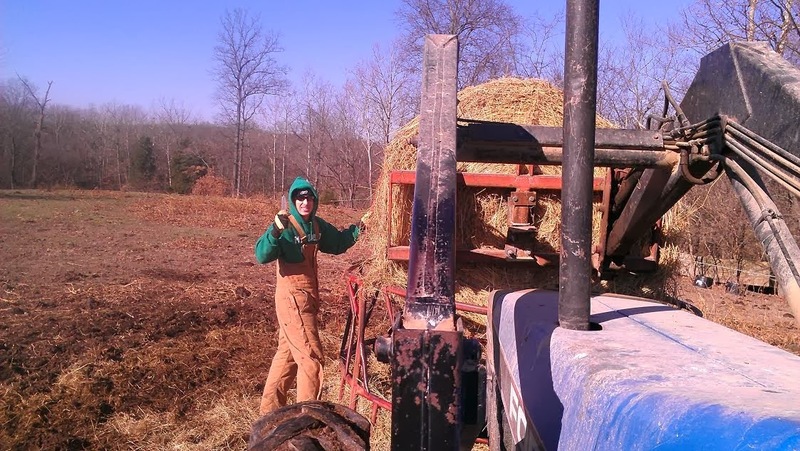 Farming Foible, or an Agrarian Adventure? : Companion Farming. It is better than growing alone. Companion Farming. It is better than growing alone. I have this weird fantasy where I secretly take pictures and videos of Captain America and I, and I edit them into a better commercial for FarmersOnly. You know, kind of like the Match and eHarmony ones, only with more cows. Oh and instead of the first date conversation being about our jobs it would be about what dead things the dogs drug into the yard lately (a whole deer head with eyes and all, thanks Susan…). Less giggling and more full out belly laughs. Fewer sly hair flips and more hands shaking and praying to not spill the wine. Heavy discussions about how many cows we wanted to have when we got older, or how much acreage we wanted to own. And the tagline for this? Companion Farming. It is better than growing alone. Why Companion Farming you ask? A few months ago I was walking across one of Captain America’s fields carrying two bottles of tea; making a beeline straight for the tractor when it hit me. If I hadn’t drove the hour and a half to get there, and he had flipped the tractor or gotten kicked by a horse or whatever random farming accident, no one would even notice until it was too late. The bottom dropped out of my stomach and I felt physically ill. I fought it down and hopped on up to make a few rounds as “tractor candy.” But it hasn’t been very far away from my thoughts ever since. As we made the rounds and small talk I found my thoughts wandering and toying with words, as they are frequently wont to do. I was thinking about how glad I was to be alive and in the relationship that I am in, and then I started being grateful for the opportunity to explore my hobbies and interests like companion planting, and I looked over at CA and thought to myself how lucky I was to have such a nice farming companion, and then the thought hit me. We were companion farming. I was put in his life to prevent him from an untimely tractor accident (or at least to cry a lot if it happened) and he was put into mine to help me too. Because let’s face it. In a few years I too would be farming alone. Over the past few weeks my thoughts have been circling around this idea of companion farming as if it was an unruly cow and I REALLY wanted to pet her calf. Which is to say I will think hard on it and then lose interest only to come back a few days later and stare longingly at the cuddly little epiphany that is just barely out of my reach. Seriously, it is right there. I have had a lot of thoughts that almost catch it. We refer to loved ones, friends, romantic partners, and pets as companions. Ideally most of those relationships are symbiotic, and help each other, to create a better whole. To extend the idea of companion gardening into it, there are certain plants that grow well together giving support to sprawling vines or fighting off certain insects for their neighbors. Those companions don’t replace sunshine, soil, or water; but they go an awfully long way when it comes to boosting the liveliness and productivity of their sister plants. For example, squash can grow by itself, but it is much more susceptible to bugs without some radishes in its life. Much like I can grow by myself but am much more prone to bouts of depression without all of my companions around. Each one is specialized and good for certain things like conversation, hugs, devil’s advocacy, fun wild nights, shopping, or listening; much like certain companion plants are great for things like immune support, physical support, or even pest deterring. God is a gardener planting people in our lives to help us grow in certain ways. We must chose our friends as if they were companion plants (IE stay away from those black walnut friendships ‘cause nothing good will come of that [black walnut trees actually release a toxin into the ground that can kill rival plants]). Not everyone that will take from you also gives you back what you need. After all, what good is a little shade if you’re both starving and fighting for nitrogen? When selecting a mate you must choose someone that you not only grow well next to, but who also doesn’t steal too many of your nutrients, all the better if they add what you need back into the soil. Any of those work? No? Well, heck. They don’t quite do it for me either. Maybe one day I will clutch that cuddly calf of insight and it will be as clear as day, but for right now it is still about as see through as lake water after a rainstorm. Geez, I am rocking the redneck analogies today. Sorry ‘bout that! One way or another, I am so grateful to have my life so full of EXCELLENT companions. And part of that is because of FarmersOnly. So watch out, Captain. It only makes sense that I should give a little back! you with a knife as you snap pictures of him cutting bale strings for you? C'mon! The ad will write itself!